God never sleeps nor slumbers. You’re approaching the Christmas season with tasks still to finish, gifts still to purchase, papers still to finish, exams still to take, promotions still to obtain, healing still to take place, and prayers still not answered. Christmastime is not usually associated with stillness. Lots of parties, loud music everywhere, and lengthy car rides home thanks to traffic on the road. 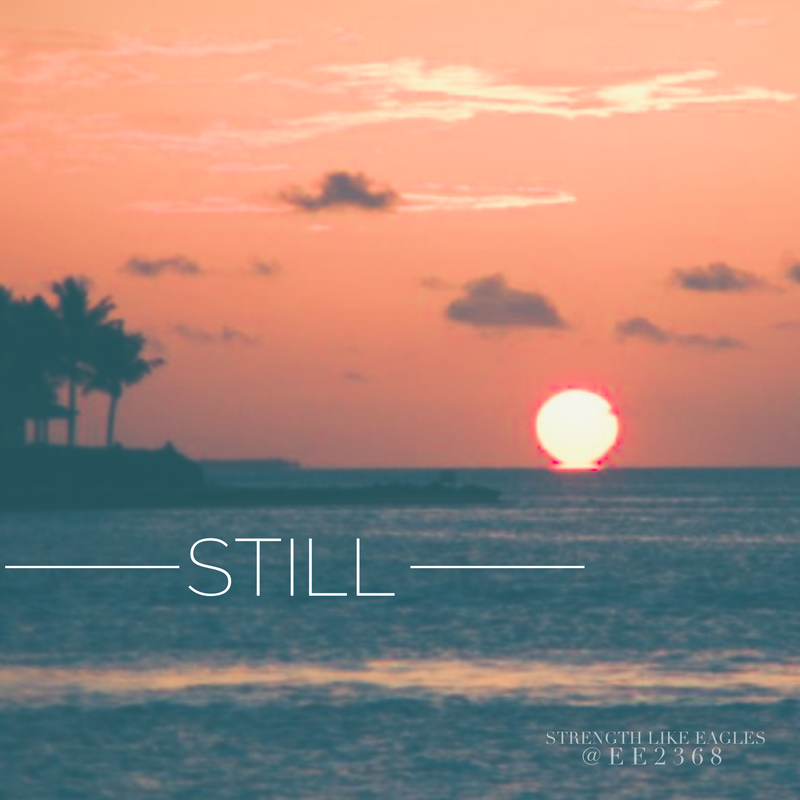 However, even in the chaos that comes with the season, we can learn to be still. Even when we have a long list of things to get done or when we are waiting to hear from God, we can still ourselves and lessen our anxiety. How do you do this? Well, here are some ideas. 1. Acknowledge that anxiety is not innately a sin. Oh boy. This idea is often handed over to lengthy debates because people confuse anxiety with worry. While they can be synonymous, anxiety does not necessarily come from worry nor worry from anxiety. A person can experience anxiety without the presence of worry, and he or she can be worried about something without having anxiety. Anxiety itself is a constant angst for something to get done and an uneasiness until that something is completed. So, take your Christmas party list, for example. You still have a lot to do. The house needs cleaned, groceries purchased, food cooked, and reminder messages sent. Until you get all of this done, you might experience a sense of uneasiness. You just want everything to get done so that you and your guests can have a good time. 3. Accept the fact that you can’t fix or change someone. You heard me. You can’t fix someone, and you’re not meant to. You have to let people be who they are even if you can’t stand how they act or don’t agree with the decisions they make. If you catch yourself trying to fix someone, remind yourself that you have too much to fix in your life that you don’t have time trying to worry about someone else. You can’t change someone, but you can love them for who they are. 4. Ask your counselor about ways to manage your anxiety. Everyone can benefit from counseling, and a therapist can help you sort through the anxiety. He or she might recommend a visit to a psychiatrist to see if a small dose of medication might help you if your anxiety is just too much to handle. It just depends on what you and your counselor feel is best for you. 6. Avail yourself to that which calms you. What do you enjoy? What thoughts make you less anxious? Think about those things. Spend time doing what you enjoy and make time for it daily. Water splashing below, above, and around you, you feel the coolness of the depths paired with the warmth of the surface of the water. Voices are subdued, and for a moment, the world is still. No longer are you sweltering in the heat, for the water has washed over you. Hold onto that feeling. You might feel that the Lord has forgotten about you, and you may not see how you will ever be free from your anxiety or that which troubles you, but don’t let go of the hope that we have because of Christ. Hold fast and avail yourself to that which makes you blossom. Anticipate the presence of the Lord in this way. Abide in the presence of the Lord, for even when you cannot feel his presence, he is with you…still.